Alexa skills available to U.S. users officially surpassed ten thousand today and stand at 10,016. The current count for the UK remains just over four thousand but Germans still have fewer than one thousand skills as their disposal. 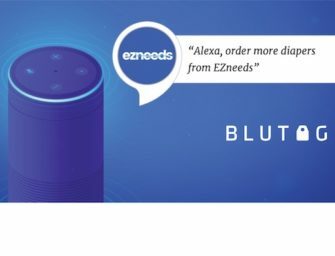 This U.S. milestone comes 26 days after Amazon announced it had 10 thousand Alexa skills which presumably meant worldwide. Previous disclosures from Amazon on skill counts had only referenced U.S. skills, but Echo started shipping in the UK and Germany in late 2016 and at some point a total number of worldwide skills was bound to surface. Current skill count for the UK as of March 21st is 4,332 and in Germany it is 667. Amazon appears to be back on a pace of about 250 new Alexa skills approved per week since it passed the 9,000 mark for skills in the U.S. on February 17th. This also means that skills for U.S. users grew by over 11% over the past month and climbed 6.4% since the end of February. The UK growth rate has been only 3.4% over the past three weeks. UK skills were coming at a much faster previously. That growth was driven in part because English-language Alexa skills originally launched in the U.S. were being ported to the UK, some automatically by Amazon. The lower growth rate probably means that the new skills since February are likely to be UK-oriented as opposed to repurposed skills from the U.S.
Germany added 119 skills over the past three weeks to show the largest percentage gain at 22%, but the smallest number on an absolute basis. Germany suffers from two challenges in new skill growth. The most obvious is that it is a different language that requires Alexa skill content, invocation and intents to be in German. This means the 10,000 English-language Alexa skills don’t easily port to the new market. The second is that Germany is a smaller market than the U.S. and the larger English-speaking world which provides less incentive for some developers to make an extra effort to build a skill. With that said, Germany appears to be on similar growth path as Alexa skills in the U.S. in the 4-6 months after the Alexa Skills Kit (ASK) was made available to developers. The other news is that Alexa skill approvals now appear to be a 24-hour operation. In the past, no new skills would arrive overnight, over the weekend or in the early morning hours. Between March 20th at 11:00 pm EST and the 21st at 6:00 am EST, 20 new skills were added. This morning, another six were approved between 6:00am and 8:00 EST. This is a good sign that Amazon has expanded capacity for its Alexa team to review and approve new skills. Editor’s Note: Thank you to Voicebot readers Rob O’Connor, Dan Whaley and Max Koziolek for their contributions to the research behind this analysis.